These prices are for the embroidery only. They do not include the cost of the items. Most logos sized 2" by 2.5" are usually around 6500 stitches. Most regular left chest size logos are around 6500 stitches. Please call or email us your logo so we can quote price for set-up. 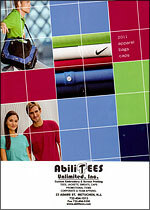 Minimum order is 36 items for embroidery. These prices do not include the price of the shirts. Example: 72 Shirts at 5000 Stitches = $3.45 per shirt, plus the cost of the shirt. 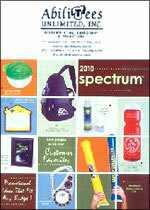 Our prices include up to 6 colors in your logo. Add $0.35 per additional color. For a quote, e-mail us at abilitees@cs.com with a sample of your logo and quantity of shirts you want printed, style, color, size and we will send you back a quote. You can also fax us at 732-494-5358 or call 732-494-1513.